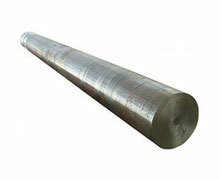 Skytech is a known exporter and manufacturer of SS 316L Round Bars, which are molybdenum-bearing austenitic alloys. 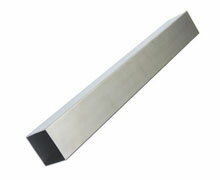 Buy 316L Stainless Steel Round Bars at very competitive price from us. These ASTM A269 SS 316L Rods has outstanding weld-ability, with or without the accumulation of filler metal. The austenitic form permits outstanding durability, even down to cryogenic temp. Usual uses for ASTM A479 SS 316L Rods comprise in the structure of exhaust manifolds, heat exchangers, furnace parts, jet engine components, photographic and pharmaceutical machinery, valve and pump components, chemical processing machinery, tanks, evaporators, in addition to pulp, textile and paper processing machinery and any components uncovered to marine atmospheres. Stainless Steel 316l Hollow Bar, 316l Steel Threaded Bar & Rod, SS 316l Round Rods Supplier In India, SS UNS S31603 Round Rod, SS DIN 1.4404 / 1.4435 Round Bar, SS 316l Cold Finish Round Bar, SS 316l Polish Bars Manufacturers. Associated to nickel-chromium austenitic alloys, SS UNS S31603 Round Bars provides greater creep, tensile strength and stress to rupture at high temp. Typical industrial subdivisions of Stainless Steel DIN 1.4404 Round Bars are: Chemical Industry, Brewing, Dairy, Food processing, Petrochemicals, Pharmaceuticals and Marine equipment. SS 316L Hex Bars offers outstanding high temperature tensile, stress-rupture potencies and creep strengths, in addition to exceptional weldability and formability. 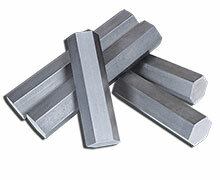 SS 316L Hex Rods is non-magnetic in the strengthened form but may perhaps turn into magnetic to some extent because of welding. SS 316L Polish Bright Bars offer excellent resistance and outstanding pitting resistance to most chemicals engaged in the textile, photographic and paper industries. 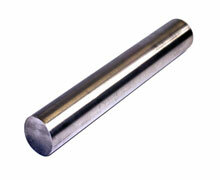 SS 316L Polish Bright Rods is generally used in procedure streams covering chlorides or halides. 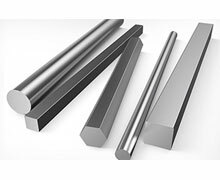 It is subject to crevice corrosion and pitting in warm chloride atmospheres, and to SCC beyond about 60 Deg C.
SS 316L Forged Bars includes an advanced proportion of nickel content than Alloy 304 SS 316L Forged Rods is molybdenum-bearing austenitic alloys that are additional resistant to pitting / crevice corrosion and general corrosion than the conservative chromium nickel austenitic alloy such as Stainless Steel 304. The adding of molybdenum in SS 316L Square Bars advances the corrosion resistance of this steel, mainly by means of greater resistance to crevice corrosion and pitting in chloride atmospheres. This SS 316L Square Rods of austenitic alloys are also same as SS 304 and SS 304L, but by means of the molybdenum addition. SS 316L Black Bars holds features same as Stainless Steel 316, apart from the much lower content of carbon that minimizes vulnerability to sensitization in the course of welding. On the whole, media that do not rust 18-8 alloys will not outbreak these molybdenum-containing steels. 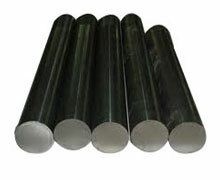 SS 316L Black Rods is hardier to distinctive and other mild kinds of corrosion than 18-8 alloys steels. Stainless Steel 316l Round Bars Supplier, ASTM 276 AISI Stainless Steel Black Bars Stockiest, DIN 1.4404 / 1.4435 SS Threaded Bar Stockholder In Mumbai, ASTM/ASME A276 Steel Bright Bars Stocks, ASTM A479 AISI 316l Stainless Steel Rods, SS 316l Square Bars & Rods, Stainless Steel 316l Forged Bar Exporter In India, SS UNS S31603 Hex Bar Manufacturer, Stainless Steel 316l Black Bars & Rods, Stainless Steel Rods Dealer, SS 316l Forged Bar, 316l Steel Rectangular Bar Exporter, Stainless Steel 316l Cold Finish Round Bar, 316l SS Round Rods, Stainless Steel 316l Bars & Rods, Top Quality Stainless Steel 316l Round Bars. Kanpur, Ankara, London, Noida, Brisbane, Singapore, Hyderabad, Indore, Howrah, Ranchi, Ludhiana, Port-of-Spain, Granada, Thiruvananthapuram, Ho Chi Minh City, Jaipur, La Victoria, Edmonton, Jeddah, Haryana, Ahmedabad, Montreal, Karachi, Jamshedpur, Milan, Algiers, Gimhae-si, Pune, Tehran, Lagos, Bengaluru, Muscat, Sydney, Dallas, Al Khobar, Seoul, Bogota, Atyrau, Manama, Ahvaz, Visakhapatnam, Mumbai, Coimbatore, Petaling Jaya, Hanoi, Nashik, Toronto, Kuala Lumpur, Secunderabad, Courbevoie, Lahore, Navi Mumbai, Gurgaon, New Delhi, Sharjah, Perth, Chiyoda, Mexico City, Houston, Moscow, Al Jubail, Aberdeen, Cairo, Busan, Kolkata, Bangkok, Ernakulam, Dammam, Doha, Chandigarh, Thane, Santiago, Abu Dhabi, Surat, Madrid, New York, Bhopal, Caracas, Calgary, Melbourne, Los Angeles, Chennai, Kuwait City, Ulsan, Colombo, Istanbul, Faridabad, Vadodara, Rio de Janeiro, Vung Tau, Riyadh, Nagpur, Jakarta, Dubai, Rajkot, Baroda, Pimpri-Chinchwad, Geoje-si, Hong Kong. Namibia, Czech Republic, Yemen, Thailand, Poland, Lebanon, Belarus, Austria, Singapore, Mexico, Gambia, India, Poland, France, Pakistan, Zimbabwe, Kenya, Tibet, Finland, Bahrain, Nigeria, Greece, Ireland, Oman, Bulgaria, Bhutan, Iran, United Arab Emirates, Serbia, Morocco, Canada, Croatia, Qatar, Denmark, Mexico, Philippines, Sweden, Italy, Norway, United Kingdom, Bolivia, Switzerland, Costa Rica, Portugal, Germany, South Korea, Azerbaijan, Egypt, Lithuania, Chile, United States, Iran, Colombia, Libya, Brazil, Peru, Ukraine, Hong Kong, Ecuador, Afghanistan, Macau, Japan, Argentina, Slovakia, Jordan, Russia, Algeria, Romania, Malaysia, Bangladesh, Israel, Venezuela, Vietnam, Trinidad & Tobago,Tunisia, Kuwait, South Africa, Nigeria, Angola, Chile, Kazakhstan, Iraq, Belgium, Gabon, New Zealand, Saudi Arabia, Estonia, China, Sri Lanka, Turkey, Indonesia, Nepal, Netherlands, Spain, Australia, Taiwan, Ghana, Hungary, Mongolia, Puerto Rico.